Can You Have Lemons In Your Diet? Can you have lemons in your diet when you are trying to get rid of Candida? Well, I have lupus and my immune system is not so good. I started to notice my thumbs raising up last year and they're still like this today and the finger next to it is also raised up and that's on my right hand. The left index finger is starting to get that way too. I talked to a dermatologist and they wanted me to try soaking my toes and fingernails in Domeboro astringent solution then after soaking it put the athlete fungal cream on it and keep doing it for 2 weeks. It didn't change anything. I'm sorry to hear you've really been struggling with your health. You said your thumbs and fingers have been "raising up." Do you mean you are getting lumps on your fingers or the nails are raised from a fungal infection or something else? I'm not sure I know what you mean. You mentioned that the dermatologist wanted you to soak with Domeboro and antifungal cream. Have they determined that it is a fungus that is causing you the irritation? Candida (or yeast infections) can certainly cause fungal infections of the skin and nails. I don't think a change in diet alone will be enough to get rid off it completely, though. 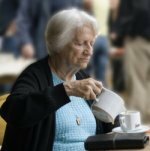 If, as you said, your immune system is low, it's really important to try to boost it. You can do that in a few ways. First, you should take daily probiotics. I recommend Florafood as one of the best quality probiotics available. Basically, probiotics are good bacteria that your body needs to fight off any invading bad bacteria and to keep your normal numbers of Candida under control so that they don't overgrow and cause you ill health symptoms. Another way to boost your immune system is to take advantage of the vitamins, minerals, and nutrients of whole food powders. I use Leaf Greens and the Garden Trio. These whole food powders are actually fresh vegetables and young grasses that have been juiced and dried to maintain the live enzymes and all the natural goodness in them. By adding them to your daily regime, you will give your body what it needs to produce healthy cells and be well on your way to a stronger immune system. are two things I would recommend. First, for topical treatment, you can apply tea tree oil, oregano oil, or neem oil a couple of times per day. They are natural anti-fungal oils and may help to clear up the area from the outside-in. But for the inside-out, I encourage you to give yourself a thorough colon cleanse with Herbal Fiberblend. 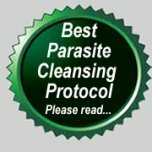 It's easy to do, and will help cleanse your system of any fungal overgrowth and help eliminate any other parasites you may be harboring. :-) I treat myself to a good cleanse each year using 3 pots over a 3 month period. I've been very happy with the results. But, to your original question... Can you have lemons in your diet? Usually, yes, in small amounts. But if you are absolutely convinced that you have a severe fungal infection, it would be better to avoid them for a few weeks, along with all other fruit. Even though the sugars are all natural, they are still sugars, and Candida albicans love sugar. I wanted to mention one other thing, too. You didn't mention your age, but you did say you were suffering from Lupus. My older sister was recently diagnosed as having a slight case of Lupus. I did some research (of course) and learned that auto immune disorders in women have sometimes been improved by using natural progesterone cream. They don't know exactly why/how the improvement is achieved, but only that it seems to work. The key here is natural progesterone and NOT synthetic progestins (that has nasty side effects). I ordered some Renewed Balance natural progesterone cream and sent it to my sister last month. She has started using it, so I'm looking forward to hearing if she is one of the many women who will be helped by it. I use the Renewed Balance myself. I've been using natural progesterone cream for years because of the wonderful benefits I receive in eliminating my PMS symptoms and also for the long term benefits of improving bone density and reducing my chances of breast cancer and other female related cancers. Natural progesterone is so inexpensive and gives such benefits that I personally believe nearly every woman in America and other "modern" countries would be better off for their long term health by using natural progesterone on a regular basis. Please let me know if I can help you any further. P.S. 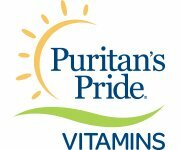 You can find the oils I mentioned at Puritan's Pride , and all of the other supplements at wholesale prices right here.